Innovation is the key to survival in the beverage category. Many consumers are looking for new flavors – ones that they are healthier, not artificial or imitation. So the time is ripe to formulate beverages with real organic fruit and bring excitement to the category. Beverages flavored with mango, blueberry, banana, and even watermelon are showing up on retail shelves worldwide. Traditional dairy milk and even the newer plant-based “milks” stick mostly to original, vanilla, chocolate and strawberry flavors. 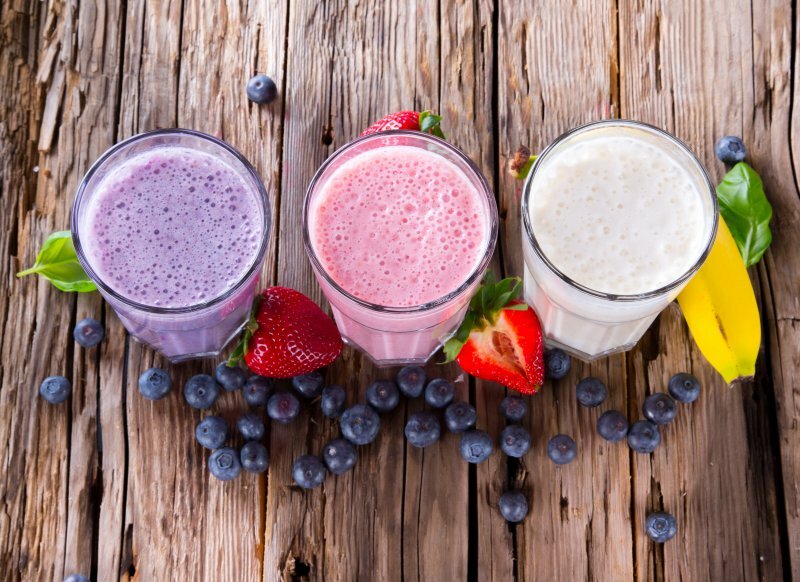 Volume sales of flavored milk for the second quarter of 2017 were up an impressive 4.2%, while regular fluid milk was down 2.6% (Source: Berry on Dairy). The 2017 U.S. Families’ Organic Attitudes and Behaviors Study found that Millennial parents, 18- to 35-years old, are now the biggest group of organic buyers in America. Food targeted to kids was also among the categories most important for buying organic. Whether it traditional dairy or newly popular almond or coconut milks, millennials expect new and exotic flavors for themselves and their children. Milk flavored with real fruit puree meets the need for simple and authentic ingredients. Plus listing “real fruit” on the package attracts those millennial families looking for healthy beverages for kids. If it’s organic, that’s even better. Purees add sweetness and nutrients and are not counted as added sugar in the FDA regulations. We recently teamed up with Imbibe, an industry leader in beverage development and flavor chemistry, to develop concepts using our real fruit purees in dairy milk and plant-based milks. Imbibe’s R&D team used a combination of organic fruit puree and natural flavors to achieve a clean, fresh, fruit taste. Remember in organic formulations no artificial flavors can be used. In all of the concept formulations, organic fruit puree was the second ingredient. A few of the concepts were also made with organic milk protein concentrate as more protein in beverages is a popular trend. If this article has piqued your interest, you can contact us for information on organic fruit puree ingredients. If you need a stellar beverage development team, contact Imbibe.